The quick and quality Asko appliance repair Albuquerque homes rely on is readily available through Ortega’s Appliance Service. Our friendly, knowledgeable staff proudly offers factory approved service for homeowners throughout the Albuquerque and Santa Fe areas. 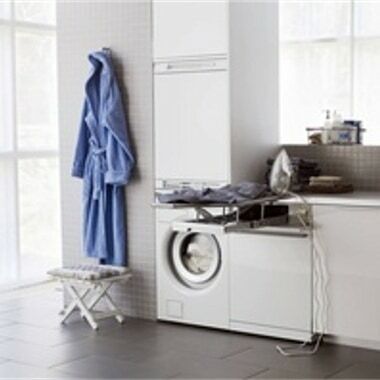 Asko’s environmentally friendly dishwashers and laundry appliances are among the most energy efficient in the world. Along with the Asko appliance repair Albuquerque residents trust, our repair technicians are expertly trained to service every other appliance brand in your home. Call us today to discover why so many homeowners have trusted Ortega’s for over forty years! We understand that a malfunctioning appliance can create quite a hassle. You rely on your kitchen and laundry appliances to meet your daily needs; make sure that you choose an appliance repair company that can offer convenient and reliable customer service. Usually, we’re able to pre-diagnose your service request with a provided model and serial number, ensuring that we’ll have exactly the part you need and can get straight to work as soon as we arrive. Ortega’s is committed to protecting your investment and saving you money. After conducting a thorough diagnosis, we’ll inform you of all of your repair options and quote you a fixed price taken directly from the National Major Appliance Flat Rate Labor Guide. With honesty and transparency, it’s no wonder Ortega’s has been awarded the New Mexico Ethics in Business award and has been named Family Owned Small Business of the Year by the SBA. Whatever your service needs are, Ortega’s Appliance Service is here to help! A broken appliance is a troubling issue. To make matters worse, having to rearrange your busy schedule to wait on a repair man adds unnecessary inconvenience. Ortega’s expert technicians want to get your device back to working order as swiftly as possible. Allow Ortega’s to help you expedite your repairs with our convenient online scheduler. Simply visit our website, complete a short form identifying your issue, and one of our customer service representatives will reply with a service time that is a perfect fit for your schedule. When your appliance requires maintenance or repairs, let Ortega’s industry-leading knowledge and experience guide you to a quick and affordable solution. For all of your kitchen and laundry appliance needs, trust Ortega’s to deliver the phenomenal Asko appliance repair Albuquerque families have relied on for generations.